Should Tina, Amy Joke About the Sony Hack? As the inevitable class action suit arrives in reaction to the breach of Sony data, a small group of awards show writers and two extremely talented hosts are probably debating if and how it’s possible to joke at the 72nd Annual Golden Globes about this horrible hack, without deeply offending executives, actors and talent reps in the room. If anyone can pull off this high-wire riff rope act, it’s Tina Fey and Amy Poehler, back for another dazzling tag-team effort as hosts on NBC January 15. But it’s not going to be easy. Maybe a sly dig at George Clooney losing sleep over critics’ reviews, to go along with the pair’s classic Gravity plot deconstruction, is an acceptable gag way to go. And an Adam Sandler wink. The Cleopatra maelstrom known as Scott Rudin and Angelina Jolie has probably already inspired much clearing of computer screens and ribald discussion. But if either one or both of those folks are in attendance, can it be broached? 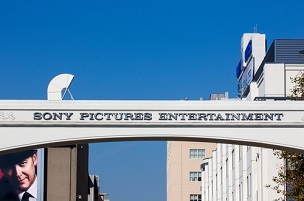 Another Sony hack issue looms over Hollywood’s best public party. Namely, how are stars on the Beverly Hilton red carpet going to handle questions about the Sony hack? Sony nominees at this edition of the Globes include Foxcatcher and Russian foreign film Leviathan. A source “close to CAA’s Bryan Lourd” has denied a Page Six report that he and the agency were irked with the pair for making jokes related to the Sony hack. Additional sources insisted to the paper that CAA told its clients not to attend Fey and Poehler’s after-party at the Chateau Marmont.